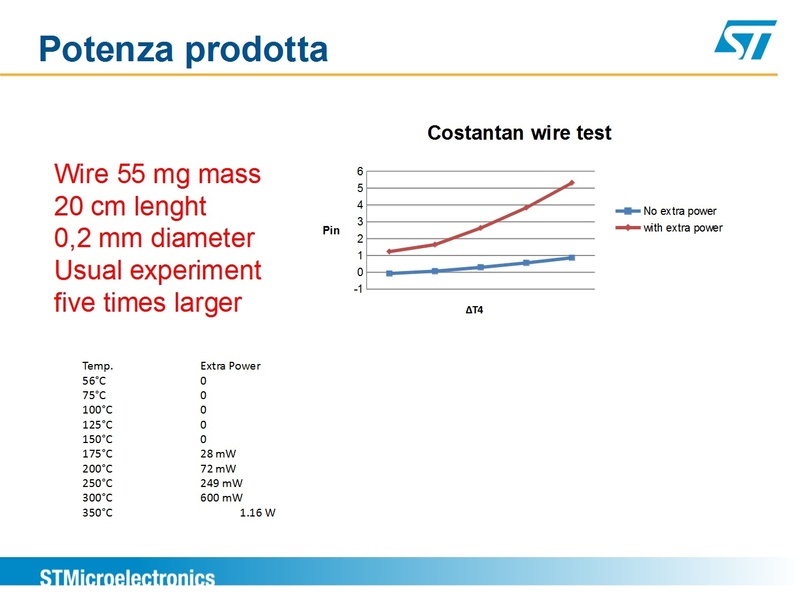 On the heels of potentially negative findings with the Hunt Utilities Group and the Martin Fleischmann Memorial Project, Francesco Celani released some information about tests reportedly conducted by “a major multinational corporation.” The testing was interpreted as exhibiting 1.16 watts of excess heating. While meager, it could be quite significant given the amount of material used and it would be interesting to see this scaled up. This amount of excess heating would likely not be detected with the Hunt Utilities Group reactor setup, and this may be a reason for them moving ahead with new reactor designs and calorimetry. Apparently, the MFMP group has been aware of these results for a couple of weeks, but didn’t disclose anything about it until Celani himself did to the 22passi blog at Celani’s request. The vortex mailing list posted a Google translated version of Celani’s message. Subject: 2 Slides end of the meeting about the replica. 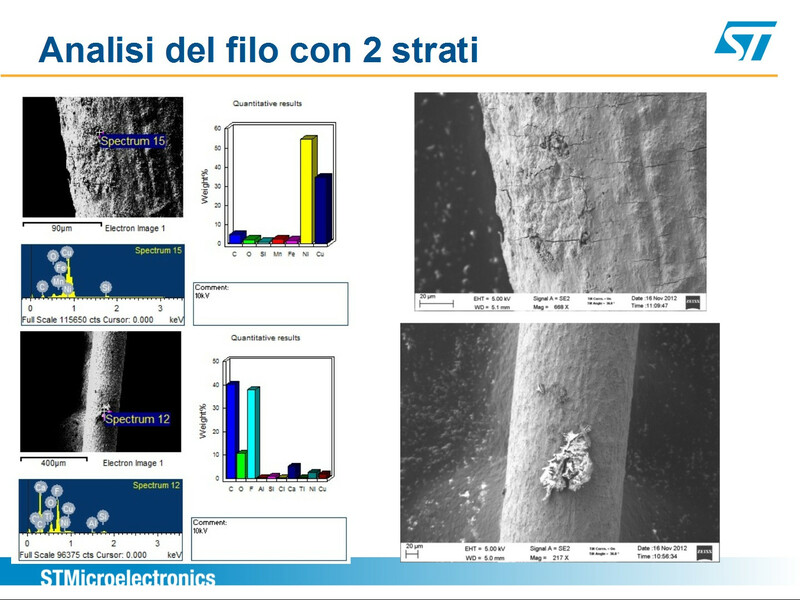 as requested, I am attaching a copy of the 2 slides about the first INDEPENDENT replication of thermal anomalies using nano-Constantan wires, according to our procedures regarding the preparation of the material. The experiments were carried out in complete autonomy, by researchers (experts) affiliated to a major international industry. – The wire used is a “base”, type 2L, ie with only TWO layers of nanomaterial. Usually use wires with 200-700 layers. – Regarding the thermal anomalies, they begin with temperatures higher than those typically found with wires of 200-700 layers. The magnitude of the anomalies, normalized to a standard [wire] length, is approximately half of those seen with the wires from 200-700 layers. The “mechanical” robustness of the wires seems to be unchanged. Apart from my brief preview, the data SHOULD be presented and thoroughly discussed before December 15, by the authors of the measurements. Here are a couple of slides from the testing.